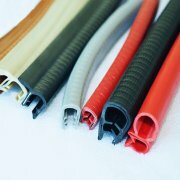 U channel is a rubber extrusion used to cover the stringer bars on a vibrating screen. It is manufactured from a high quality rubber compound that is both impact and wear resistant. It's purpose is to prevent the underside of the screen cloth from wearing against the steel stringer bar. 1. Outstaning performance of sound insulation adn reducing noise. 2. Excellent capability of keeping heat and saving energy. 3. Not reaction with all lacquer or cleanser. 4. Perfect flexibility in cold condition. 5. The color and specification can be customized according to customer. 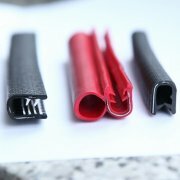 Silicone extrusion parts. 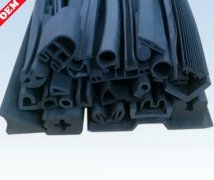 EPDM extrusion parts. 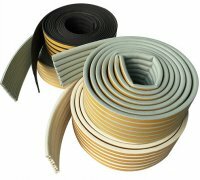 Electrical apparatus fire resistance rubber parts. 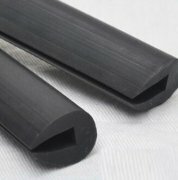 High and Low temperature resistant rubber parts. Electric conduct rubber parts. EPDM foam parts.NBR dense parts.Silicone,EPDM molded parts. Question:How to choose the material? 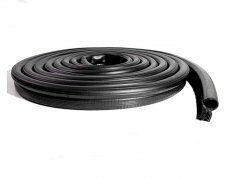 Answer:Not the expensive is the best, each material has its advantage, according to your requirement and the work environment of the rubber products, choosing the best material.